The new weapons announced by Russia are so advanced that the money U.S. taxpayers have spent on missile defenses "has been thrown out into the wind," President Vladimir Putin told NBC News on Thursday. The remarks came after Putin said in his annual state of the nation address that Russia had developed new nuclear-capable weapons, including a nuclear-powered intercontinental ballistic missile, or ICBM, that renders defense systems "useless". Skeptics objected that because Moscow presented no video of a successful test of the new missile, Putin's claim that Russia has deployed a working nuclear-powered ICBM can't be verified. And in an interview in Moscow with Megyn Kelly, host of NBC's "Megyn Kelly Today," Putin refused to answer directly when pressed about whether the ICBM had, in fact, flown a successful test. "Every single weapons system that I have discussed today easily surpasses and avoids a missile defense system," Putin said. But "some of them still have to be fine-tuned and worked on. Others are already available to the troops and battle-ready." 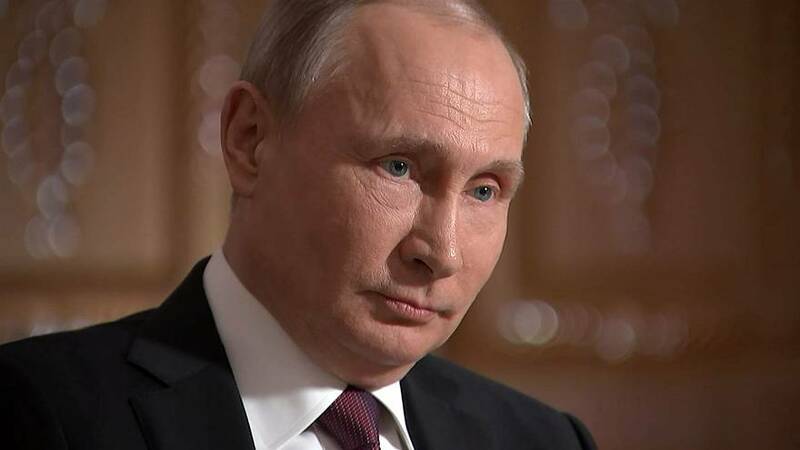 Asked again whether Russia had specifically conducted a successful test flight of a nuclear-powered ICBM, Putin responded: "All of those tests were successful. It's just each of these weapons systems are at a different stage of readiness. One of them is already on combat duty. It's available to the troops." U.S. officials told NBC News that development of the weapons wasn't a surprise and that Putin's rhetoric was intended for domestic consumption, aimed at national elections later this month. Jeremy Bash, who was chief of staff of the U.S. Defense Department and the CIA during the administration of former President Barack Obama, said Putin's comments reflected new confidence "in an era where an American president refuses to check Russia's aggression." "You're going to see Russia rise, and that could spark a new Cold War," he said. But Putin said: "My point of view is that the individuals that have said that a new Cold War has started are not analysts. They do propaganda." "If we are to speak of an arms race, then an arms race started precisely at that point," Putin said. Putin said he had offered to cooperate on joint development of missile defenses with the United States but had been rebuffed, so he had to act in Russia's best interests. "Instead of creating threats to one another, great powers should pool their efforts in protecting against terrorists," he said. Russia's deployment of the RS-28 Sarmat thermonuclear-armed ICBM has been in the works for years. It was announced in 2014, and details were declassified in 2016. The missile is intended to replace the R-36 Voevoda, which NATO has dubbed "Satan," leading the United States to call the new version "Satan 2." Russian media said in 2016 that the RS-28 Sarmat would be able to carry a payload capable of wiping out a landmass "the size of Texas or France."